Descartes has long been recognized as occupying a pivotal position in Western philosophy. At the very centre of Descartes’ innovation are his intimately related conceptions of mind and knowledge. These twin notions form the main problems that have continued to exercise philosophers to this day. 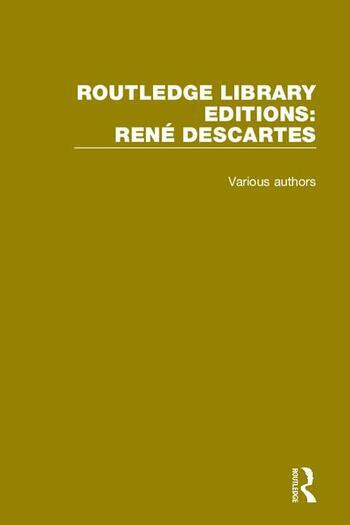 Put the main mathematical and physical discoveries of Descartes in an accessible form, for the benefit of English readers. Delineate the transition Descartes effects from a prevalent medieval conception of understanding to a modern conception of it. Give in-depth study of Descartes’ philosophy with a strong emphasis on the historical approach.